If I told you that young people who smoke or drink heavily suffer more from anxiety and depression, what explanation might you offer for that? Some might think those with poor mental health use tobacco and alcohol to cope with their distress, often explained as a form of ‘self-medication’. Other explanations might focus on chemical effects of tobacco or alcohol on brain chemistry, or stigma towards smokers or heavy drinkers. Alternatively, it may be assumed that young people from disadvantaged backgrounds have more difficult lives, and that this adversity is a common cause of problems with both mental ill health and substance use. These theories are worth exploring in order to better understand young people’s wellbeing and harmful health behaviours. In the diagram used here we see social class as a common cause of smoking, drinking and psychiatric distress; the physical or social effects of smoking or drinking as a cause of poor mental health; and distress leading to self-medication with tobacco or alcohol. All of these ideas are plausible and make different claims about what causes what. This is the crux of the evidence I reviewed in the latest edition of the Handbook of Youth and Young Adulthood. I started by looking at systematic reviews. These are literature reviews which aim to identify, evaluate and integrate findings from all relevant high-quality studies. There were reviews suggesting evidence for all of these ideas. The relationship between smoking and psychiatric distress was evident in both directions, even after accounting for the influence of social class. However, the relationship between social class and drinking was not strongly supported by the evidence. 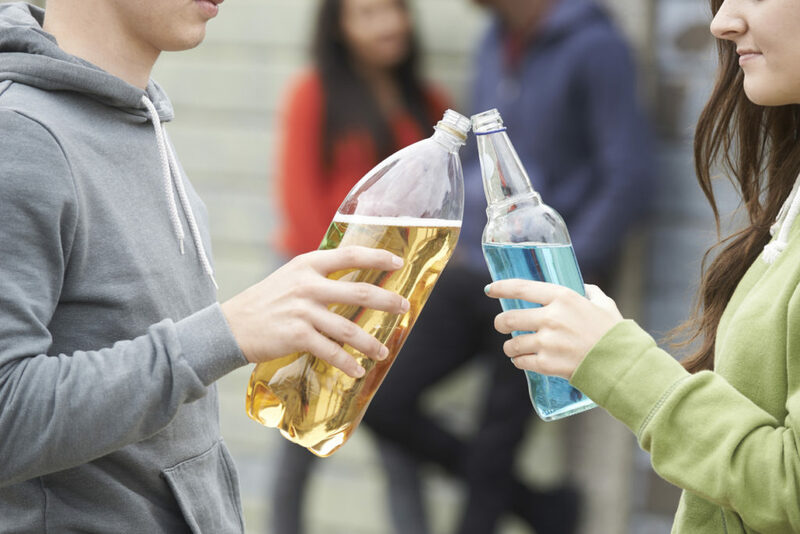 While in some studies, young people from disadvantaged backgrounds drank more than their more advantaged peers, others studies showed they drank less, and others showed no difference at all. It is interesting that we do not see the same clear social patterning for drinking as we do for smoking. Considering that tobacco and alcohol are both harmful, addictive substances, we might have expected to see similar social patterning in their use. There are some significant differences between tobacco and alcohol though, both in how addictive they are and the harms associated with their use. The Independent Scientific Committee on Drugs’ panel of experts has rated tobacco as more addictive and health-damaging than alcohol, but rated alcohol as more harmful overall, in part because of the wider harms to others and to society that are associated with alcohol consumption. We might also contrast health messages such as “Smoking Kills” with “Drink Responsibly”. Public health messages and marketing related to smoking have emphasised no safe level of consumption, while those for drinking have tended to suggest guidelines for safer (or at least low risk) consumption. Although current UK drinking guidelines note increasing health risks for any amount of alcohol consumed on a regular basis, they also say that consuming less than 14 units a week and spreading drinking evenly over three or more days, with some drink-free days, will keep a person’s health risks low. While the difference in the clarity of messaging may reflect actual differences in personal health risk, studies have shown that people find these guidelines both difficult to interpret and to relate to their own drinking practices. Persistent reports of health benefits from moderate drinking may have further clouded understanding, despite substantial questions over whether these health benefits are actually caused by drinking. If smoking is more clearly understood as an unambiguous health risk, this may help to explain why we see clearer inequalities for smoking than for drinking: there is a stronger motivation for people to use their resources to avoid or quit the behaviour. Alternatively, we might gain further clues by examining the social processes by which these behaviours develop and how these intersect. In further research undertaken here by the MRC/CSO Social and Public Health Sciences Unit which focused on drinking, our findings emphasised that the development of heavy drinking behaviours is complex and young people may take very different paths to the same outcome. We found that both smoking in adolescence and participation in post-secondary education were associated with heavier drinking in early adulthood, but while smoking was more common among poorer young people, post-secondary education was more likely for those who were more socially advantaged. This suggests different, opposing processes leading young people from different backgrounds to heavy drinking. If these processes vary in strength across different contexts, then this too may help explain varied findings on the social patterning of heavy drinking among young people. Again evidence reminds us that our understanding of these complex issues can be enhanced by taking a holistic view of development and recognising that different behaviours, health conditions and social contexts may interact and influence each other. By doing so we can find clues that may help inform ways to improve the health and wellbeing of young people. More on this by Michael Green can be read in the Handbook of Youth and Young Adulthood. 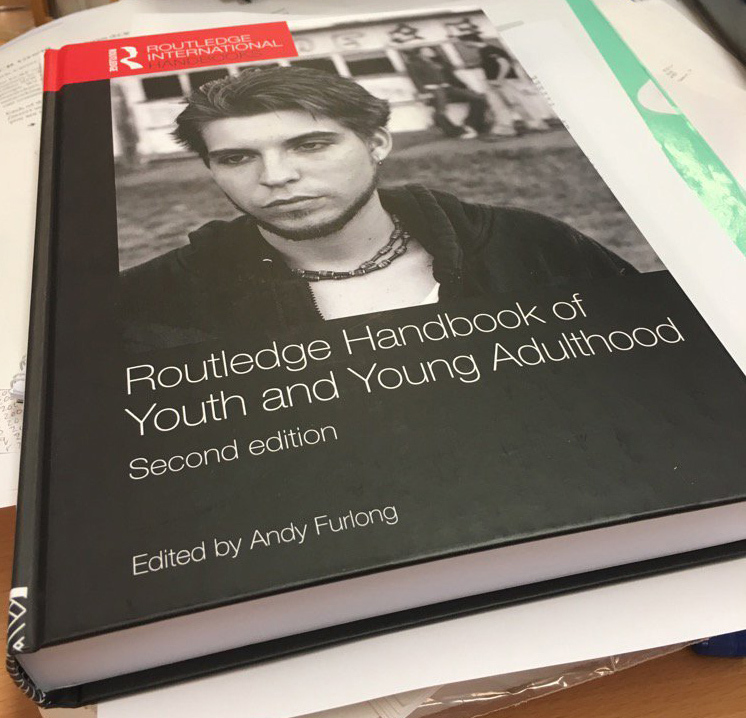 Dedication: This blog post comes with special thanks to the late Andy Furlong, who was kind enough to give me the opportunity to contribute to the second edition of his book, The Handbook of Youth and Young Adulthood. Disclaimer: The views expressed in this blog are those of the authors.